This coming Wednesday, DC Comics is launching their first-ever series with a brand-new character from The New 52. 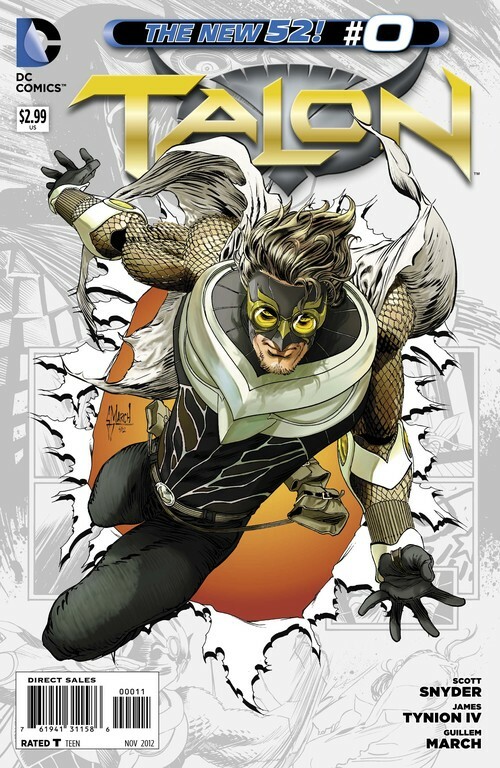 The book is called Talon and it's spinning out of the pages of Scott Snyder's monumental run on Batman and his Court of Owls storyline. 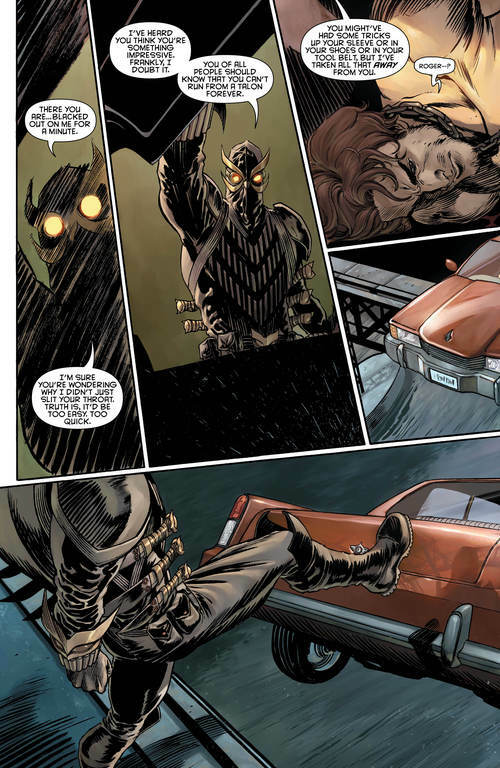 Talon is a renegade named Calvin Rose, the only assassin to escape the clutches of the Court of Owls. This first zero issue sets him on his path and it's a great read from Scott Snyder, co-writer James T. Tynion IV, and artist Guillem March. 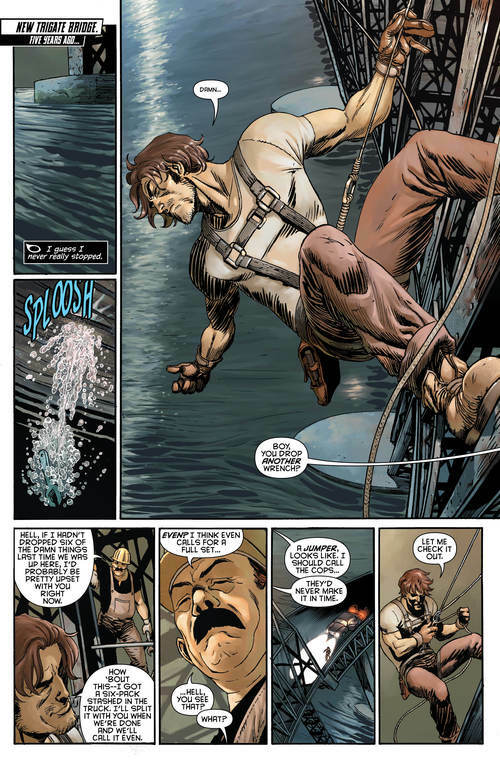 It has all the feeling of The Fugitive mixed with a Harry Houdini adventure. 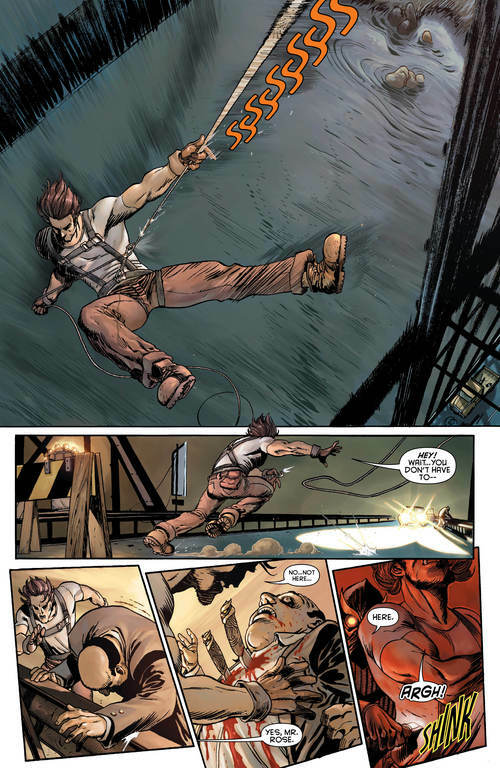 And since it's tied in some small way to the Batman mythos (and Snyder), I'll certainly be adding it to my comic hold. 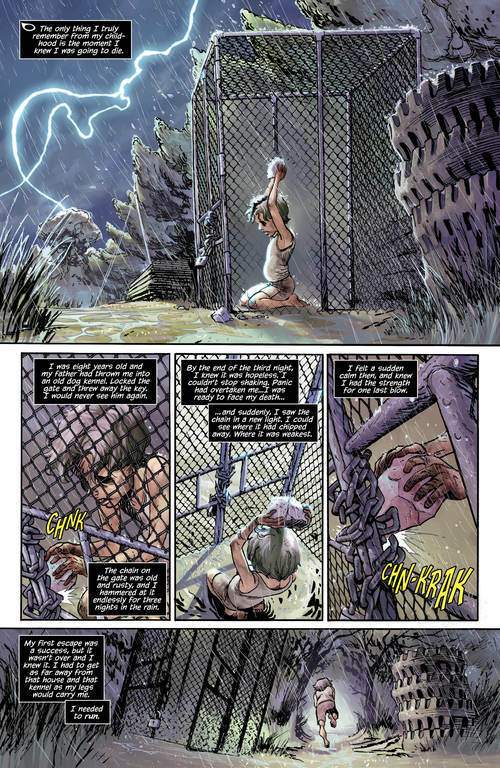 The thing I love about the things Snyder is involved in is the literary sensibility he brings every issue he works on. He brings something to the table that isn't often seen in comics and I'm really glad he's doing it. Don't take my word for it, though, DC has been kind enough to give us a look at the first five pages of Talon #0 and I think it speaks for itself. Bryan Young is an author and the editor in chief of the geek news and review site Big Shiny Robot! Talon #0 hits comic book stores on Wednesday.